With the Inspiration of Sadguruvarya Shastri Shree Madhavpriyadasji Swami and guidance of Pujya Balkrishnadasji Swami, Aamrakut Utsav was celebrated at SGVP, Ahmedabad on 05 June 2016, with the intention in mind to provide the Prasad to poor and needy people. Over 6000 Kgs. Of Mangoes were offered to Shree Ram Shyam & Ghanshyam Maharaj. 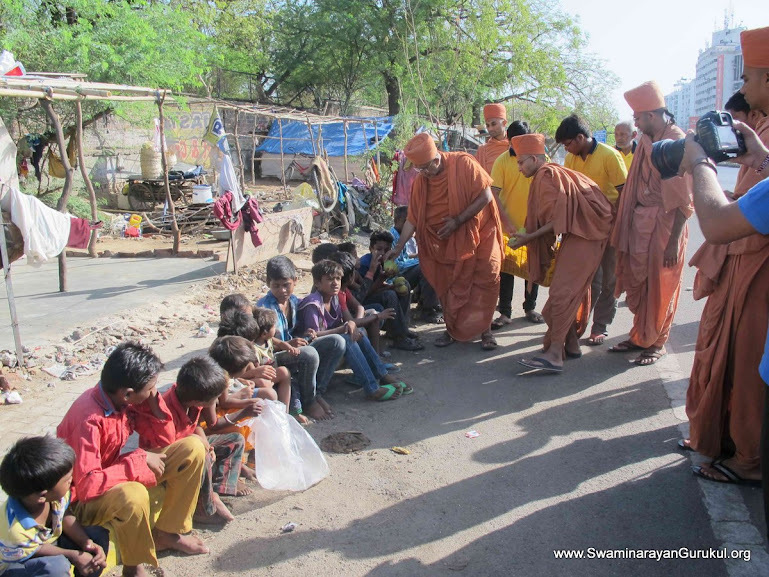 Devotees from Kutch-Bhuj, Una-Fatsar region and Ahmedabad enthusiastically contributed for mangoes and over 60 quintal of Mangoes were offered and distributed among hospitals, orphanage, old homes, and road side poor & needy people. Saints and volunteers of Gurukul Parivar personally visited the places and distributed the Prasad.